Home / Blog / digital marketing strategy / Where Local Search is Headed in 2015 & Are You Ready? 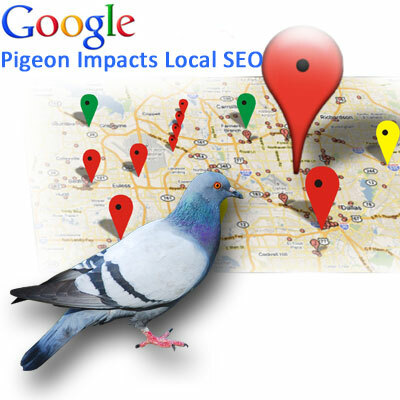 With Google’s recent Pigeon update which affected a decent percentage of sites with their local search rankings, it is clear that Google is once again pulling the rug from underneath the sites that thought they had somehow beaten the system. The new updates and most if not all of their updates are meant to level the playing field for site owners and of course make a better search experience for their customers. The website owners and marketers that try to game the system, typically end up in trouble when one of these updates occurs. So beware if you are engaging in dicey so called black hat seo behavior to give your local rank a boost. It’s NOT worth the risk! For a little refresher just in case you don’t recall what Pigeon exactly is, here you go: Search Engine Land 1st used the name “pigeon” for this new Google algorithm that was implemented this past summer in July 2014. It was designed to provide more accurate and useful local search results. Google states that this algorithm improves its distance and location ranking parameters. If one looks back at a lot of the big updates to Google’s algorithm over the past few years, there are a few recurring themes. They are simplicity, quality and accuracy. These themes actually make the job of a SEO or Marketing Manager (like me:) much easier because in essence Google has essentially made its ranking factors visible and quite clear. Truth be told, there simply aren’t that many factors to really focus on if you think about it and if you are marketing your site in a quality and consistent manner, your rank as well as traffic over time should increase. So let’s take a quick look at some of these Local Rank factors that really matter and will get you the most bang for your buck. TITLE TAGS – These little gems of content are the most important piece of content on your page and you had better pick these words wisely. Make sure that each page on your site has their own targeted and unique ones. If you have duplicates, then Google will not reward you. In fact, the opposite will transpire. Please note that right after these Title Tags in level of importance is the rest of the content on the page: H1s, keywords and URL. 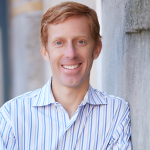 DOMAIN AUTHORITY- This is where the real value is and where quality really comes into play. Google is pressing this card heavily to weed out the spammy riff-raff sites. How does a site gain Domain Authority? It’s simple. You need to be a site that your industry peers respect in that a lot of respected peers link to you or you generate a high volume of traffic from these sites. The more your site is “respected” (linked to) by your industry’s leaders, then the higher your overall domain authority will be, and your rank + traffic will benefit in turn. LOCATION LISTING- I am sure you are tired of hearing how important it is to have your NAP (name, address, phone number) listed on your site and your pages, but probably the most important thing is to simply make sure that it is listed correctly. A surprising number of sites have little errors here. Also, make sure that you utilize Google’s local business listing and be sure to verify it. This is a MUST for local businesses. It is also a good idea to periodically check out other sites where your company info is listed to make sure that your info is listed right. It is NOT their job to list your business correctly, it is YOURS. So if you see errors, be sure to contact the website owner asap. MOBILE- With the influx of mobile devices and the demise of desktops, you need to make sure that your site not only has a mobile option, but that it is optimized. All this simply means is that you should have a nice mobile site for your customers that is easy for your customers to navigate and incorporates Title Tags, H1s, etc. on each page. Be sure to include your mobile sitemap in GWT (Google Webmaster Tools). REMEMBER- Penguin is basically Google’s filter to catch spam that gets past its regular spam fighting defense system. It is used periodically, and when sites are hit by Penguin, they receive a large penalty that lasts until you go through the process of cleaning up the issue. Then a site owner has to wait until the next time the Penguin filter is run. If Google’s filter likes what it sees, the sites have their penalties lifted. So if you get dinged with a penalty, the wait in the penalty box is long. It’s not worth it.